Don't forget to join our newsletter for great deals! Naturally Nutty was created by Katie, a Vegan Mom, for her kids in 2007. Why? Katie was looking to feed her kids great stuff, plain and simple! She searched for unique, high quality, healthy alternatives in the world of nut butters but nothing was there. Sure there were flavors, but everyone either used extra oils and artificial ingredients or they were low quality and tasted terrible. 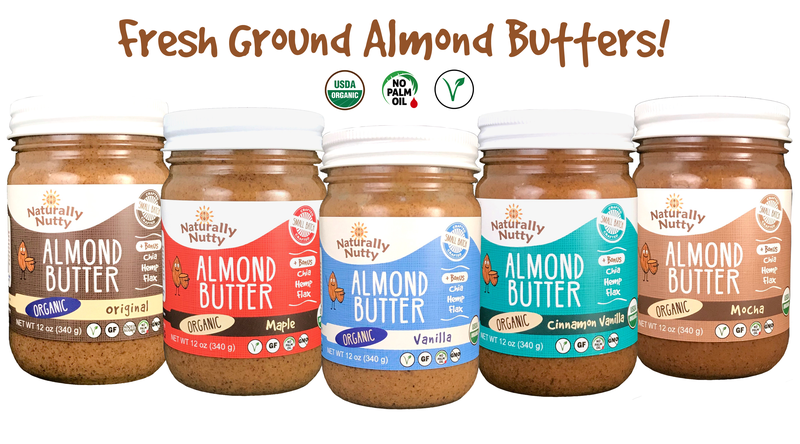 We make amazing organic and natural nut butters and seed butters in a variety of flavors with the best ingredients you can find. 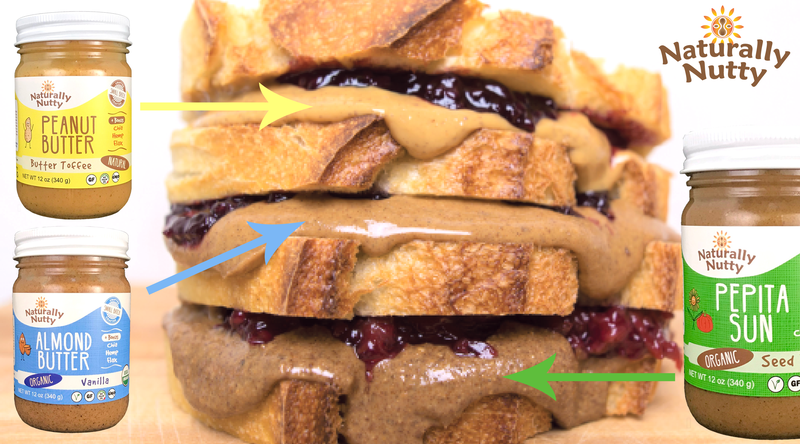 From the Organic Vanilla Almond Butter to the Organic Chocolate Sunflower Butter or Organic Pepita Sun Seed Butter. Each flavor also has the added nutrition of chia, flax and hemp seed. Each batch is made fresh by us which is why you won't find anything better out there! Check out our story and enjoy! • Organic Flax Seed (Omega-3, Omega-6) - Ground Flax Seed! • Glass jars - Reusable, Recyclable! • Over 20 Unique Flavors and Counting! Explore our Store! Lose Weight with Almond Butter? Butter Toffee Peanut Butter was selected as one of Traverse Magazine's top Best Eats! 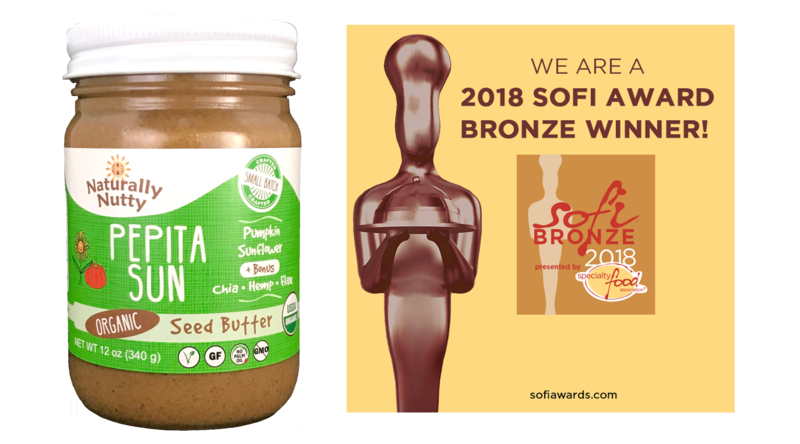 VOTED BESTCOVERY BEST ALL NATURAL CREAMY PEANUT BUTTER! 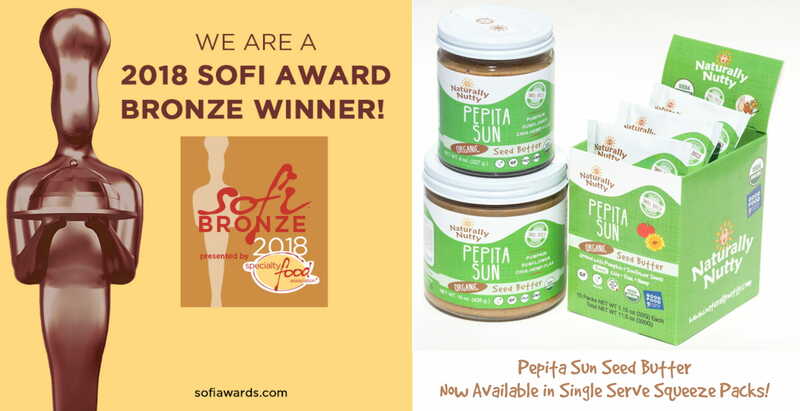 We have been honored as the best peanut butter by BestCovery.com!